Losing your car to a bunch of killjoys is a traumatic experience. It makes you moody, you cry, you ask yourself some hard questions, but no matter your reaction during that period you only want one thing; to find your lost car. In a tech evolving world, car thieves are now outsmarting car owners as they have gotten conversant with all the latest accessories in a car. But how do you protect yourself from these thieves? In Nigeria, most car owners install latest gadgets such as alarms and sophisticated security systems but even with all these, many have become victims of car snatching. According to data obtained from the National Bureau of Statistics (NBS), 2, 544 vehicles were stolen between 2013 and 2015, out of which 1,377 vehicles were recovered. This means that the Nigerian institutions involved in the recovery of stolen vehicles have the ability to recover only 5 out of every 10 vehicles stolen in the country, leaving the owners of the other unrecovered vehicles to mourn in their losses. But don’t worry; there are plenty of ways you can sleep tight at night without worrying about your car and constantly peeking through the window to check if it’s still there. These seven tricks of ours can make it harder for thieves to steal your car when practised religiously. 1. Don’t ever forget your keys in the car. You might be tempted to do this perhaps you want to quickly get some groceries at the supermarket. It is being reported that most stolen cars still had keys in them. Don’t fall victim, you might not know who was watching you the moment you parked your car. Don’t keep your car spare keys inside the car because thieves usually know all the hiding places. Your spare key should be at home, in your office or any other place that is not inside your car. 3. Always lock your car. Locking your car is always advisable and Nigerians should be given props here because even when we press the lock button we still go around checking the doors. It is not paranoia rather it is an attempt at ensuring maximum safety. It’s a devastating fact that half the stolen vehicles were simply unlocked and too easy to grab. If your car doors are faulty ensure you pay your mechanic a visit to check them so you don’t become a victim of car theft. You might have seen this in movies where someone enters a car that the engine is running unattended and then zooms off. If you are warming your Engine, pay close attention to your car because thieves won’t mind driving off with a car that is left unattended while the Engine is running. 5. When you park, always try to park in well-lit parking lots or public places. Don’t park your car anywhere you see space because some spaces are traps being set by thieves. Ensure you park where you can recall the faces of people. The more witnesses around, the harder it will be to steal a car. 6. Never leave any valuable objects in the car (especially if they are in plain view). Your laptops and phone shouldn’t be displayed on your car seats because they can serve as a magnet for thieves. These valuables could spur a thief to smash your windows and once they unlock your car, you might not know their next intention. Always put your valuables away especially if you are driving around a city you are not familiar with. 7. Always make sure that you’ve closed all the windows completely. The same way you check your car doors endeavour to pay attention to all your car windows. If anyone is faulty try and replace them. Save yourself the torture of going carless. Finally, drivers can also use brake pedal locks and gear shifter locks to keep potential thieves at bay. 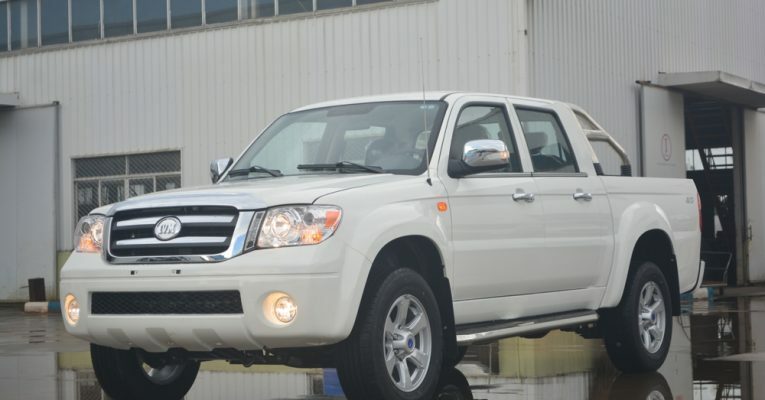 Are you thinking about getting an Innoson car? Then hurry.